If you own a business with any kind of online presence, or have talked to anyone in the marketing field, chances are you’ve at least heard of SEO (Search Engine Optimization). But sometimes, dealing with SEO can seem like a global endeavor, and can be extremely overwhelming for a local business. Maybe you just want to cater to the people in your local community, or the people passing through. If you don’t sell something that can be shipped or mass-produced, there may not seem like much of a need to deal with SEO, right? Wrong. The best part about local SEO is it allows you to promote your goods and services to the exact customers you’re looking for – the people in your community and nearby. Whether you’re the only business of your kind in town, or you’re one of many, local SEO can make you the most recognizable business for current and potential customers. In plain terms: If they see your business as a reputable result at the top of the search engines, they’re likely to go with you for your services or goods. Local SEO has a much greater return on investment than traditional marketing techniques. For example, if you’re a mechanic with a great deal, you might spend several hundred dollars designing, printing, and mailing out flyers to everyone within a 50 mile radius of your business. But, not everyone needs a mechanic to begin with, and chances are if they do, the people at the very edge of that radius aren’t going to drive 50 miles to come see you if they have a faulty car. There are many examples of the inefficiency of traditional marketing that work this same way. With local SEO, however, you’re automatically targeting customers who are already looking for the type of work you do. People in your area searching for a mechanic, for example, will see your name, and choose your services directly. They’re not just visiting your website, they’re becoming loyal customers due to your SEO efforts. So, why should you be focusing on SEO as a local business owner? A recent study found that only 28% of people still get their information about businesses from more traditional resources like newspapers, yellow pages, etc. On the other hand, 64% of customers get their information about businesses online – namely, from search engines. It’s inevitable that the Internet will take over the way we get almost all of our information, due to its ease of use and helpful tools. It’s much easier for a customer to type ‘Mechanics in my area’ into Google than it is to search through the yellow pages and get random businesses they know nothing about. Plus, when they’re searching for your business online, it likely means it’s at a point in time where they need your services, which is a perfect place to shine, and obtain a new loyal customer. Local SEO isn’t only timely, it is very specifically targeted. One major reason for the rise in people using the Internet to find goods and services is because of smart phones. Think about it, you use your mobile device for almost everything, and so does everyone around you. If someone is stranded on the side of the road, they can simply use a search engine to find a local mechanic. Your business is literally in the palm of their hand at any given moment. If your business is up to date with SEO, you’ll never miss out on a customer in need. Stay ahead of the game, and save money doing it! Did you know that in 2009, only 10% of all businesses had claimed their Google Places local listing? Even seven years later, that percentage hasn’t gone up very much because most small business owners are still afraid to deter from traditional marketing methods. Whether you live in a large city or small community, now is the time to take advantage of SEO, if for no other reason than to ‘stay ahead of the pack.’ If you’re using SEO, and your competitors aren’t, guess who potential customers are going to see first, and guess who they are going to trust first? 70% of customers trust online business reviews – but in order for them to trust a business, the business has to have an online presence. Don’t fall behind as more and more businesses start to get on board with the new, effective way of marketing. Another benefit when it comes to SEO vs. traditional marketing? Cost. SEO is extremely cost-effective (and free, in some cases). 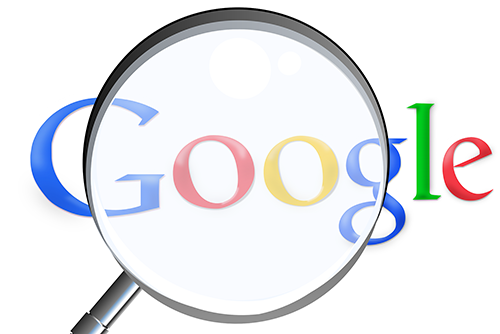 It’s free to claim your business listing on Google Places, which can list it in hundreds of online business directories. Even optimizing your website with the right keywords is extremely cost effective when compared to traditional advertising campaigns. Working with a marketing team that specializes in SEO can get you the hottest keywords for your business, so whenever a customer needs something, they’ll find you first. Local SEO marketing is truly the way of the future, and isn’t going anywhere anytime soon. If you truly want your business to shine in your local community, make sure it’s the first thing people see when they search for absolutely anything that could be related to what you do. Work with your local marketing experts to make sure your business stands out, and you’ll love the return on investment that comes from local SEO.